When you have connected your tickets to your DreamHack Account, you will be presented with some options. Providing the seat map is released, one of the options being to "Choose a seat"
Choose a seat: You will have to go trough this process for each ticket in your account. You can choose a seat before you give the ticket away. The receiver can still change seat. 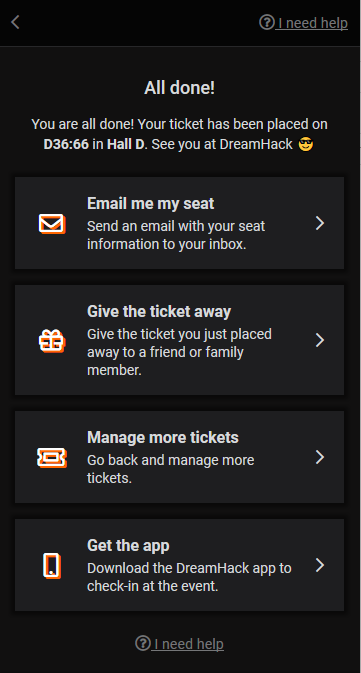 Select the ticket you want to place. If you hold more than one ticket, then they all will be listed. You will be directed to the seat map. Navigate to the desired hall, row and seat and press on the desired seat. Then confirm by pressing "Choose this seat" at the bottom of the page. 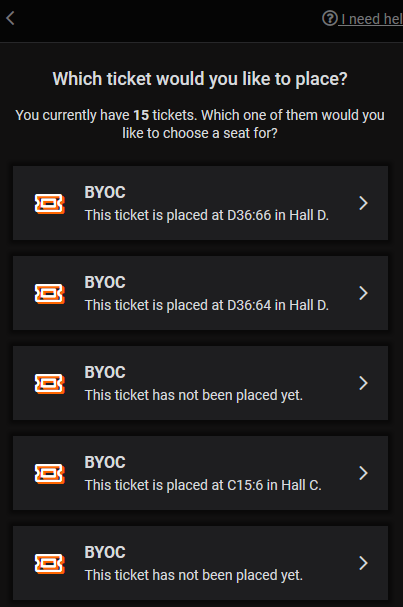 You can also manage any other tickets you may have and get the DreamHack app that allows you to check in at the event. 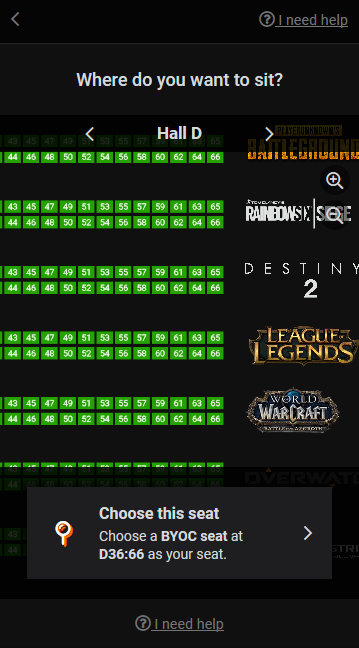 Once you have picked your seat you can move it around whenever you like, however approximately a week before the event the seatmap will be locked. Meaning no more changes are possible.